Category: Conspiracy Theories & Alternative History Tags: ancient history, architecture, Freemasons, philosophy, religion, science, secret codes, symbolism, symbols. “The Shining Ones” were members of an advanced culture that was almost lost; but their wisdom and their power survived. They preserved the secrets of their advanced knowledge in mythology and legend; they embedded their secret codes in symbolism in art, architecture, the mystery traditions and literary works – including the Bible. The authors have found traces of the influence of “The Shining Ones” in all the major religions with roots in the ancient world. 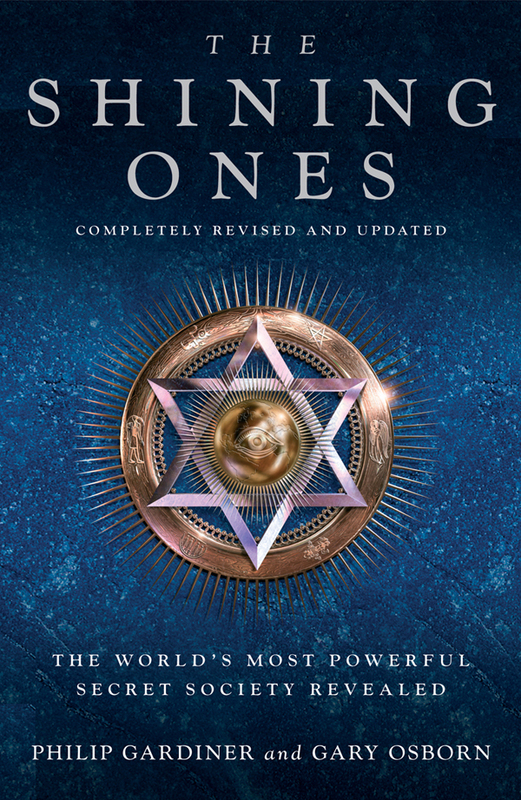 Gardiner and Osborn have discovered that their secrets and rituals have been hidden and preserved through the centuries, by the Knights Templar, the Rosicrucians and the Freemasons to the present day. Furthermore, they believe that the evolution of civilization has been manipulated by a secret and powerful group of initiates descended from “The Shining Ones”. They can identify their influence behind science, religion, mysticism and philosophy – and, of course, in the arena of powerful politics. This is an extraordinary story of intrigue and power play at a very human and political level. But it is also the revelation that the ”Shining Ones” had knowledge of the deep spiritual truth that lies at the heart of mankind’s yearning for an understanding of the meaning of life and to achieve salvation.